EghtesadOnline: Days after a high-ranking official announced that Iran’s government has embraced cryptocurrency mining, another peer has said requirements are in place to develop the industry quickly. “Sales of cryptocurrency mining hardware are legal because all hardware and parts needed in this sector are employed in other sectors and currently imported by a number of computer and technical hardware companies legally,” Mehdi Mirmehdi Komijani, the head of Tehran’s Information Technology Union, told IBENA. “The sale of this type of hardware will by no means become illegal,” he added. The official conceded that many Iranians already engage in cryptocurrency mining in an unofficial capacity in off-grid silos, saying many generate significant incomes from it, according to Financial Tribune. “Since the main component required for cryptocurrency mining is a powerful graphic card, all enthusiasts have access to the hardware because they are also used by other sectors,” he said. Komijani pointed out that importers favor providing mining gear because of their increasing popularity in Iran and said the process of legal imports is ongoing even under the current harsh circumstances. But he also mentioned that prices have recently jumped by up to 300% due to recent currency volatilities. On Sept. 4, Secretary of High Council of Cyberspace Abolhassan Firouzabadi announced that the administration of President Hassan Rouhani has accepted crpytocurrency mining as an industry that needs to be developed in Iran. 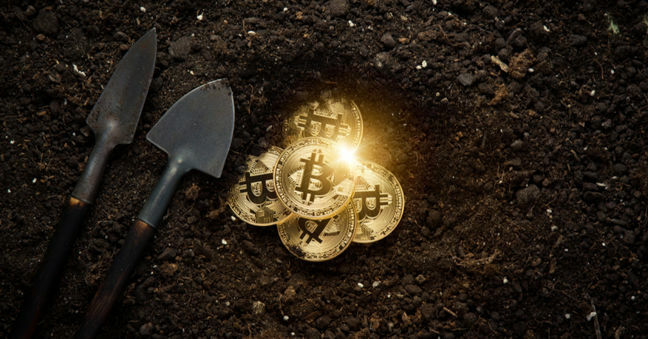 He said HCC intends to establish a platform to legalize crypto mining, adding that creating certified online exchange are also being considered. On the back of this news, the price of Bitcoin on some local exchanges such as Exir peaked to over $24,000–exceeding the global average all-time high of $20,000 seen in December– while prices elsewhere were around $7,000, Coindesk.com reported on Sept. 6. On Tuesday, Komijani also referred to an as-yet withstanding April ruling by the High Council of Money Laundering that puts a blanket ban on the exchange of cryptocurrencies by all financial institutions in Iran. “I believe this has done significant damage to the country because the major cryptocurrency industry can be made official through positive regulation and expansion of cryptocurrencies creates economic added value,” he said. Komijani called on the central bank and the government to quickly regulate the decentralized currencies and said his union will fully support such an initiative and help provide infrastructures and technical requirements, if needed. The central bank is set to unveil its regulatory framework concerning cryptocurrencies in the next two weeks, as per its previous announcement.